Trade Systems provides one of the UK's largest ranges of Treston products. From storage cabinets and bins, to professional work benches. 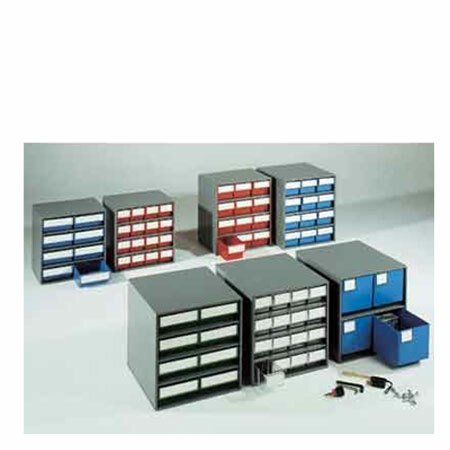 The professional Treston assortment provides a large range of business storage solutions. Manufactured in Finland all Treston storage products conform to EU manufacturing regulations. Treston's workbenches and work stations are used in labs and technical workshops around the world. 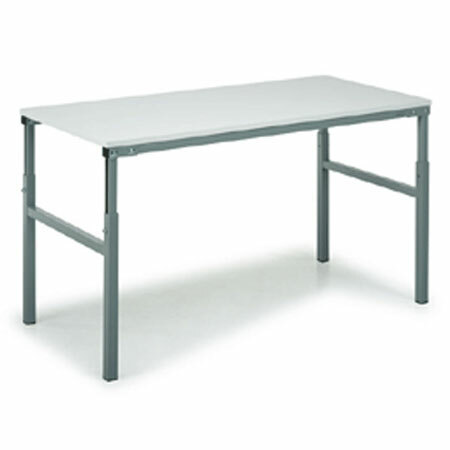 The work desks ergonomic design often make them the technicians and engineers choice within the commercial market. Treston Colour bins cabinets are available in 300mm & 400mm depth with a range of drawers sizes & a choice of drawer colour. 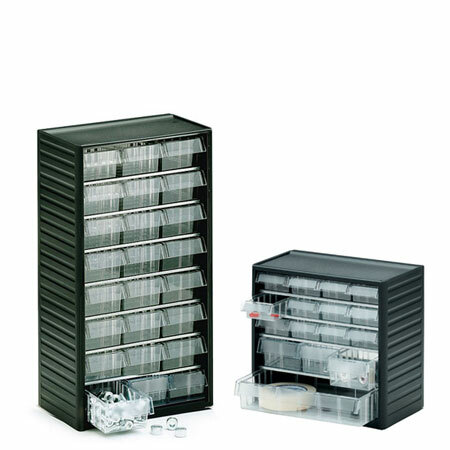 The colour bin cabinets are complimented by Treston's 150mm deep range of visible storage small parts cabinets, the visible storage range consists of 6 sizes of Crystal clear polystyrene (PS) drawers inside a dark Grey polypropylene (PP) frame, the cabinets are available in 2 heights and can free stand on a worktop or can be easily wall mounted via the key hole slots in the frame.